In April of 2004 I got a call from the Cooke County Texas Emergency Management Coordinator, Ray Fletcher. Ray asked me if I could help the town of Valley View get their Thunderbolt siren working. 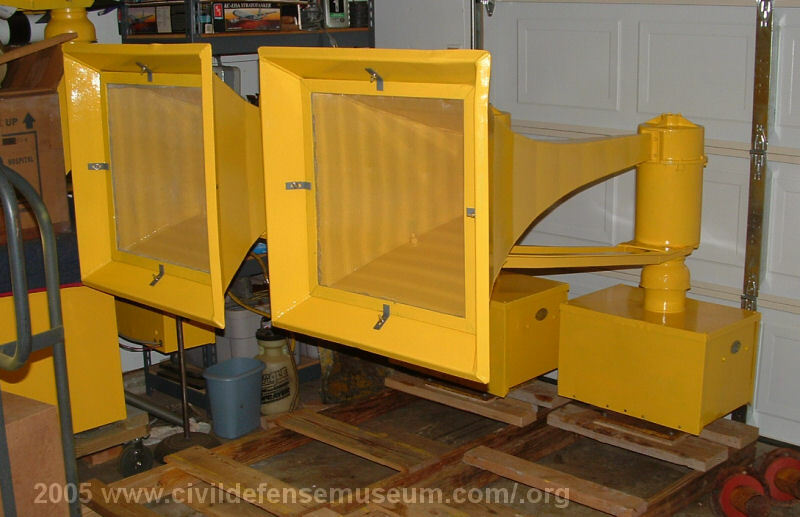 He found this site while searching the internet for information about their old Thunderbolt siren. Needless to say I jumped at the chance! 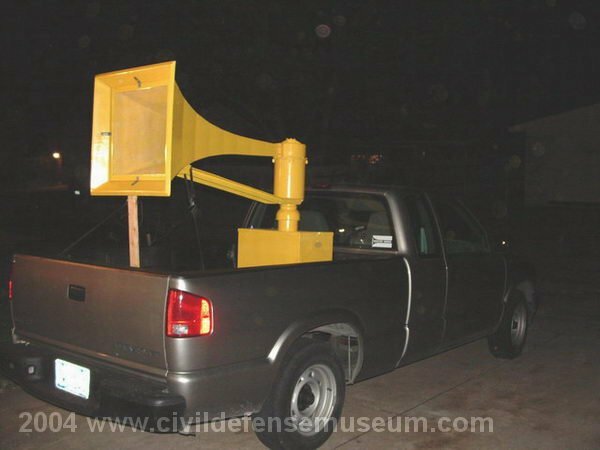 I made arrangements with Valley View Fire Chief Bobby Jobe to go check out the siren and see what I could do. I told him that I wasn't an "offical siren service guy" but that I had completely restored one and was pretty familiar with all the electrical components. He said that sounded o.k. to him and I went up to check it out. 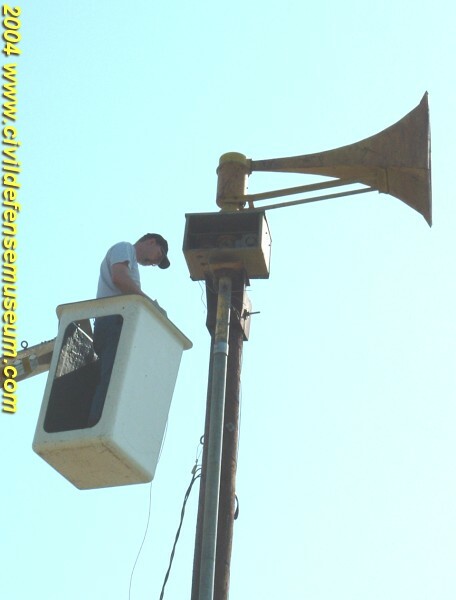 When I got up there I found an old Thunderbolt siren mounted on a telephone pole with a heavy duty concrete pad complete with a cage enclosure around the blower and control boxes. 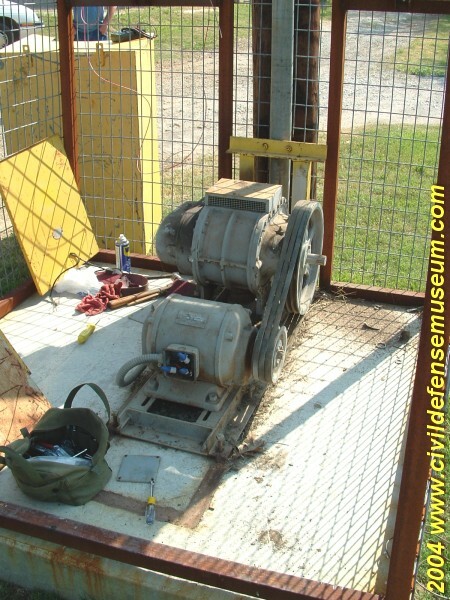 The wires were hanging out of the rotator box and nothing had been hooked up except for a 3-phase power service installation hooked up directly to the blower motor. I later found out that the siren had been up for about 2 years. 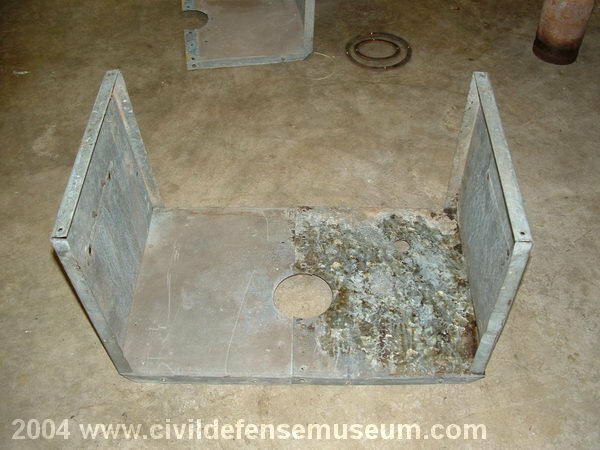 The blower frame is welded to steel pieces that the concrete was poured around. I think this is probably mid 1950's. The blower starter is missing. 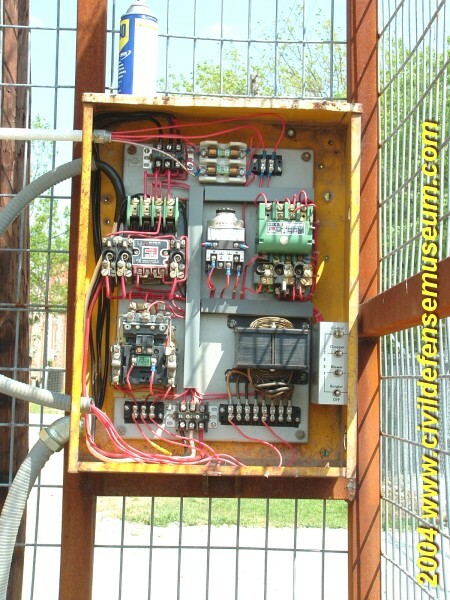 Here's what the blower and control panels looked like before we started work. I had just installed a newer RCM of mine before I took this photo. Mr. Jobe had told me that the control panels they had were "rough" so I brought a RCM along with me. 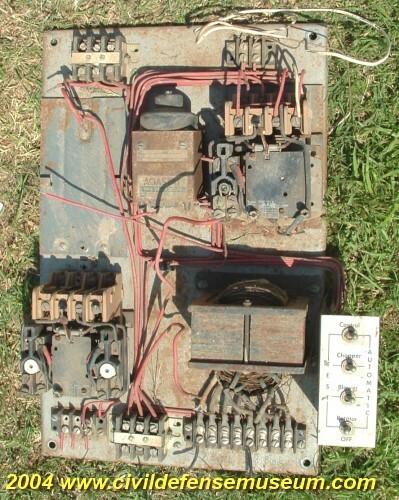 "Rough" was a kind word to describe the old RCM panel they had. I believe that the old RCM is probably a mid 1950's vintage RCM panel. It had obviously been left out in the weather for a long time and it was missing the blower motor starter. 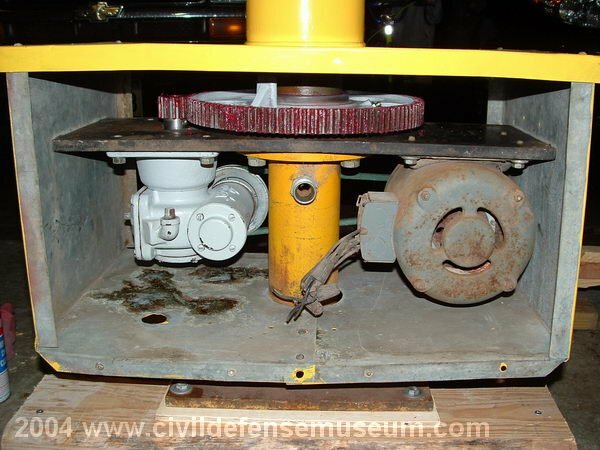 The first thing we did was to free up the rusted blower relief valve and check the blower operation. The blower worked fine and ran smooth. 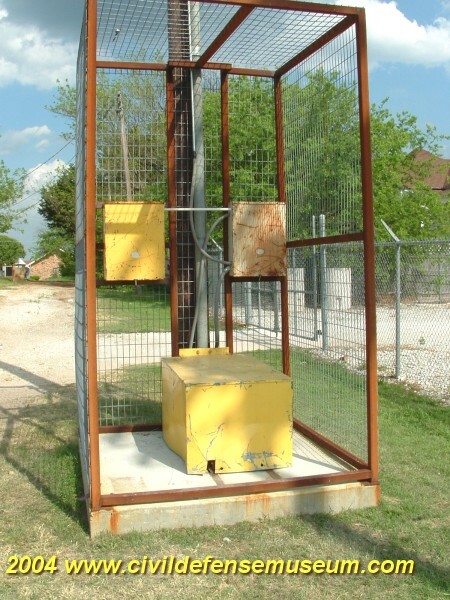 Barry Turner built the cage and mounted the siren on the pole. Mr. Turner told me that the blower was locked up with rust originally and that he had to work it loose to get it turning again. He's going to add a gate to the cage now that the siren is operational. In this photo Valley View Fire Chief Bobby Jobe gets ready to start wiring the chopper and rotator so we can check the operation of each unit. Mr. Jobe did all the "bucket work." 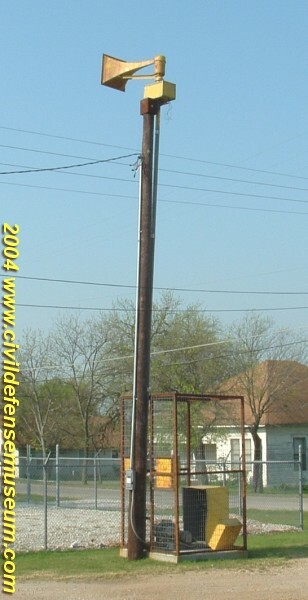 In this photo you can see the heavy steel top-of-pole mounting bracket. When we first ran the chopper motor with the blower, rusty dust wafted out of the horn in big clouds. I think the rust might have been coming from the blower. 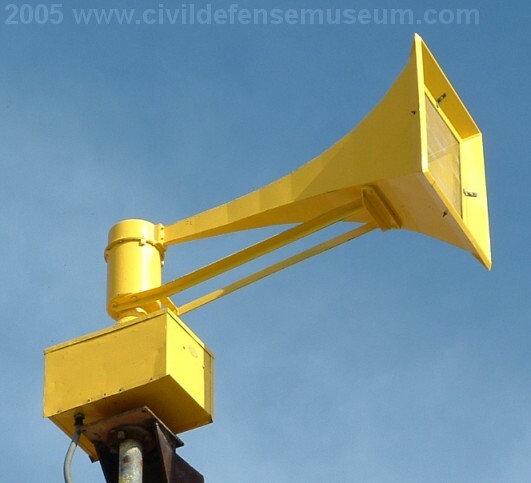 This siren is a single tone model 1000. The chopper sounded good every time we ran it. The other guys (Mr. Fletcher and several others showed up to help with the hook-up) installed all the electrical conduit from the top of the pole down to the control boxes while I worked on the RCM panel. I ended up having to replace the single phase rotator starter with an old 3 phase rotator starter I had left over from another old RCM I had scrapped. I couldn't believe the thing actually worked after I got it hooked up. 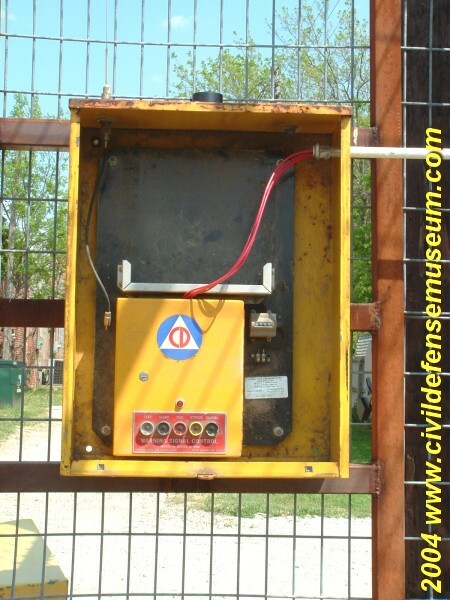 After we got everything hooked up and operational we had a major mechanical problem with the rotator mechanism. Due to excessive drag from a never-greased rotator the drag caused the rotator main gear to lose several teeth rendering the thing inoperative. This was taken care of later by replacing the chopper/rotator with a unit I was able to build from the pile of siren parts the town had piled up at their water treatment plant. The Horn Stuck In Place After Rotator Problem. While working on the siren I found out that Valley View had more siren parts down at their water treatment plant. 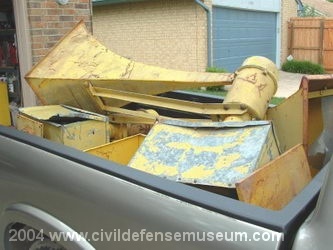 Valley View purchased a pile of old Thunderbolt sirens and parts at an auction several years ago. 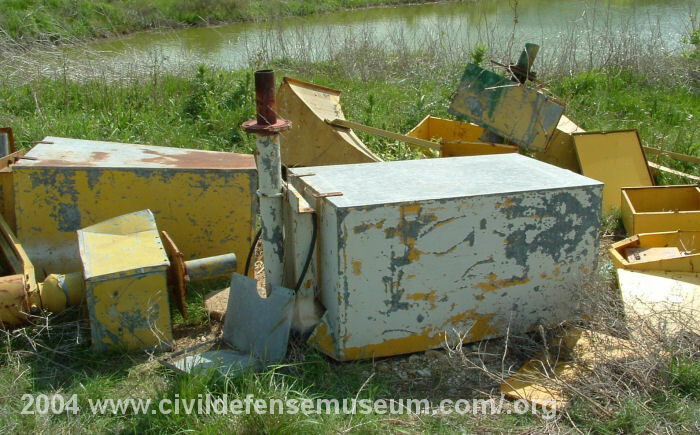 These sirens had been sitting out in a field for a number of years before they got them and were in pretty poor shape. 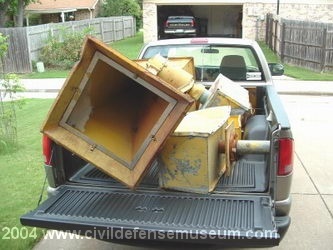 The siren that was already installed came from this pile. After the installed siren's rotator failed I asked if we could go down and look over what they had to work with. I offered to take some of the parts to try to salvage as many working units as I could. They had parts for about 5 sirens so I brought home 2 horn/rotator units to work on. Photos below. 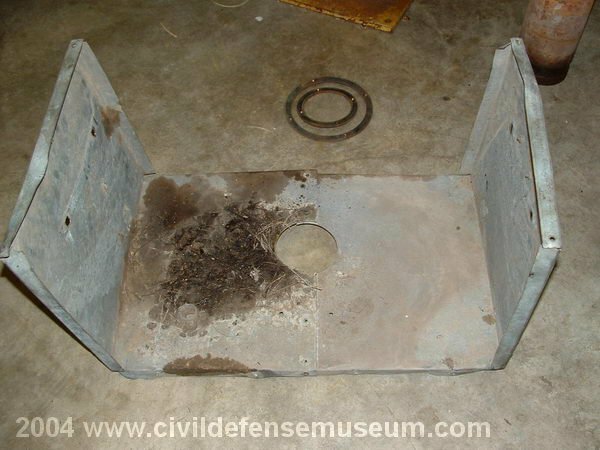 The two chopper/rotator units I brought home had rodent nests in the chopper motors and rotator boxes, banged up sheet metal and were in overall pretty bad shape. The choppers had also been rained in for years and the rotator tubes were just about rusted together. 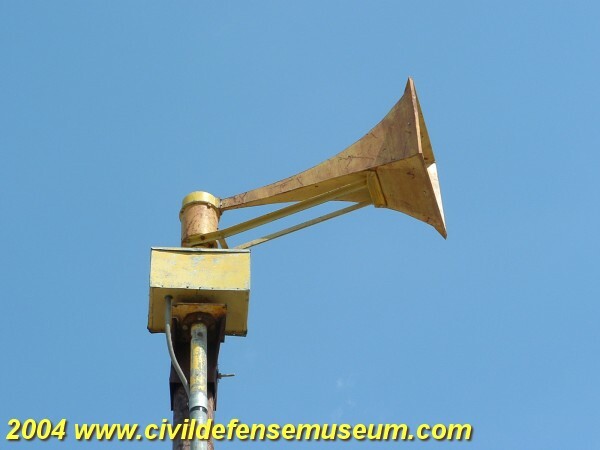 Evidently the original owners of the sirens had never performed any maintenance on them as long as they had them in service or the rotator tubes wouldn't have almost been rusted together. Just a little grease would have helped guys. 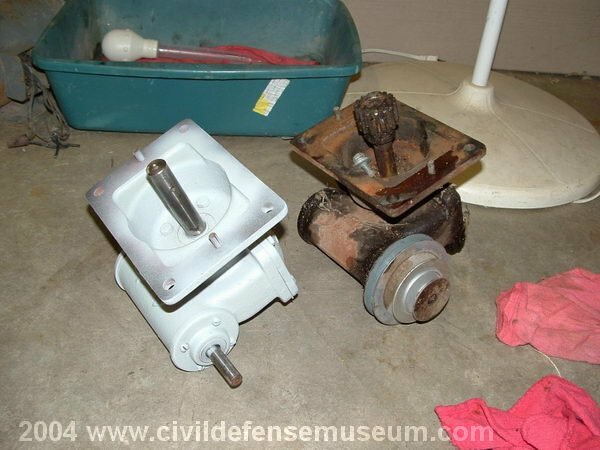 I ended up reconditioning all the rotator mechanical components like I did when I restored my Thunderbolt siren. Below are some before and after photos. 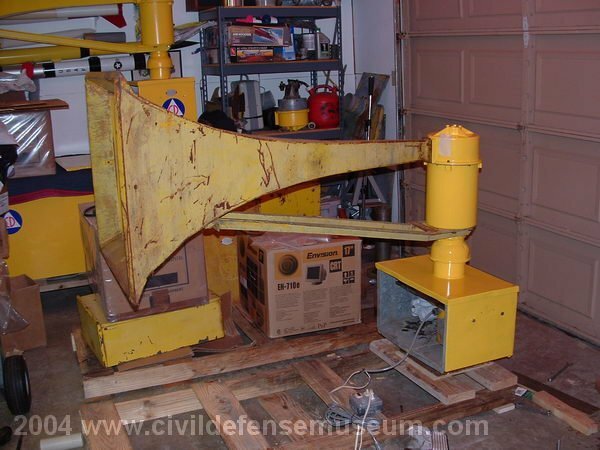 I returned the first overhauled horn/rotator to Valley View in late November 2004. Mr. Turner called me in mid January 2005 and told me that he had just finished putting up the first overhauled unit! I went up to Valley View the next day and got some photos of it on the pole and a recording of it running in a short Alert signal and Attack signal. It was pretty satisfying to see and hear the siren I worked on up on a pole and operational! To hear the Valley View Thunderbolt click the links below. 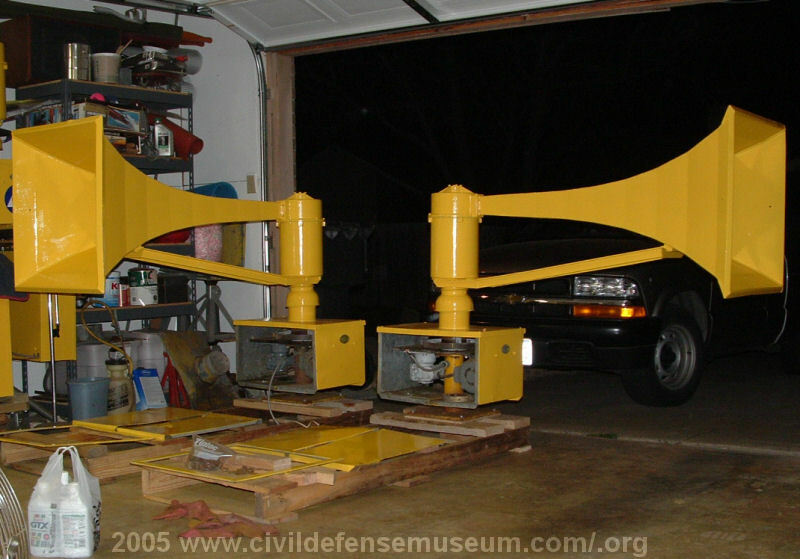 I was able to complete two chopper/rotators with the rest of the siren pieces that Valley View had. The cost of parts was minimal. I think it was barely over $100. Both of these are single tone 1000s.